By Audrey Golden. Nov 17, 2017. 9:00 AM. If you’re interested in rare book collecting or Arabic literature, we cannot emphasize enough the significance of the Iraqi literary and cultural traditions, and the importance of reimagining Baghdad outside the Western context of war, violence, and dictatorship. In 2015, the Los Angeles Times published an article entitled, “Iraq Book Market Comes Back to Life Seven Years After Bombing.” A number of other western and Arab media sites posted similar pieces, recalling a destructive bombing and signs of recovery in the nation’s capital city. 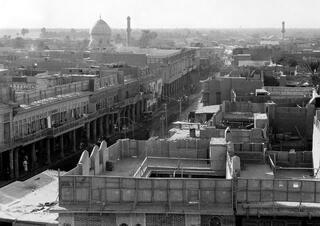 Those stories were referring to Al Mutanabbi, or Mutanabbi Street, in Baghdad. For years, the street, which almost reaches the Tigris River, was known for its weekly book market. A car bomb devastated it in 2007, but it has again become a location for buying used and rare books in Iraq. Mutanabbi Street gets very crowded, and many Iraqis and visitors to the city have been pleased to see that the outdoor book market has returned to this pedestrian area. The street is named for Abu Tayeb al-Mutanabbi, a 10th-century Iraqi poet. 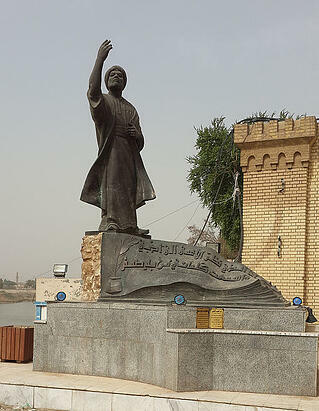 A statue of al-Mutanabbi stands near the docks on the Tigris, at the foot of the steps that lead to the book market. It seems only fitting that most visitors to the book market pass alongside the statute of the poet, which serves as a reminder of Iraq’s long literary history. The area is a mixed Shia-Sunni part of Baghdad. It has also become the cultural center of the city. Not only does the outdoor book market happen here, but tea shops, cafes, and stationers also line the street. 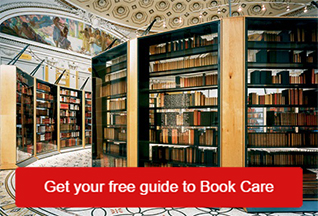 This year marked the tenth anniversary of the bombing of the Baghdad book market. 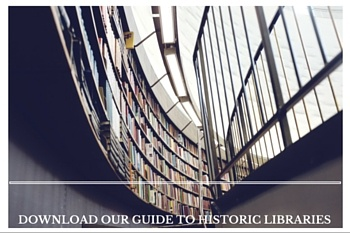 Mutanabbi Street and its long literary and political history should give readers and book collectors a lot to ponder. And if you’re interested in learning more about Iraqi literature, we recommend picking up one of Sinan Antoon’s novels, or seeking out a recent translation of Abu Tayeb al-Mutanabbi’s poetry.